The laundry space is a lobby inside the backdoor between the bathroom and the kitchen. 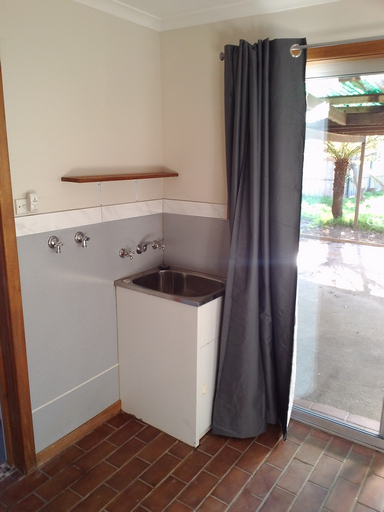 There is a laundry tub and space for a washing machine as well as good storage cupboards. All we had to do was repaint (like everywhere else in the house) move a power point up the wall a little and put a shelf in above the tub. The floor needed a good scrub and the rattly sliding aluminium back door readjusted so that it locked securely. 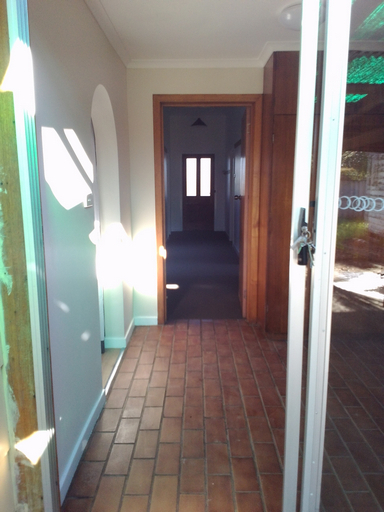 A led oyster light replaced the batten mount incandescent and that was as they say that.